Bright and sunny in Athens. Athens's new airport is a dream compared to the old one! Smooth sailing across the Atlantic on Olympic Airlines A340 "Delphi." 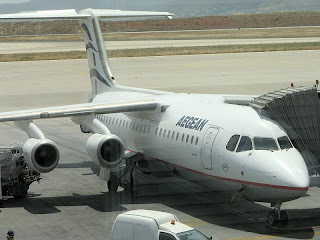 Waiting for the Aegean Airlines flight to Ioannina, the last leg of the journey!